At this year's All-Catholics freshman race, St. Mary's had a pair of top finishers: Colin Barry and Aiden Murty. St. Mary's also boasted a couple of Second Team All-Catholic members: Freshman Margaret Nawojski and Junior Eli LaVarnway. Freshman Margaret Nawojski took first place against Mount St. Mary’s and Mt. Mercy in a hard fought finish at Como Park in league play. The team fell to Mt. St. Mary’s but did secure the win against Mount Mercy. 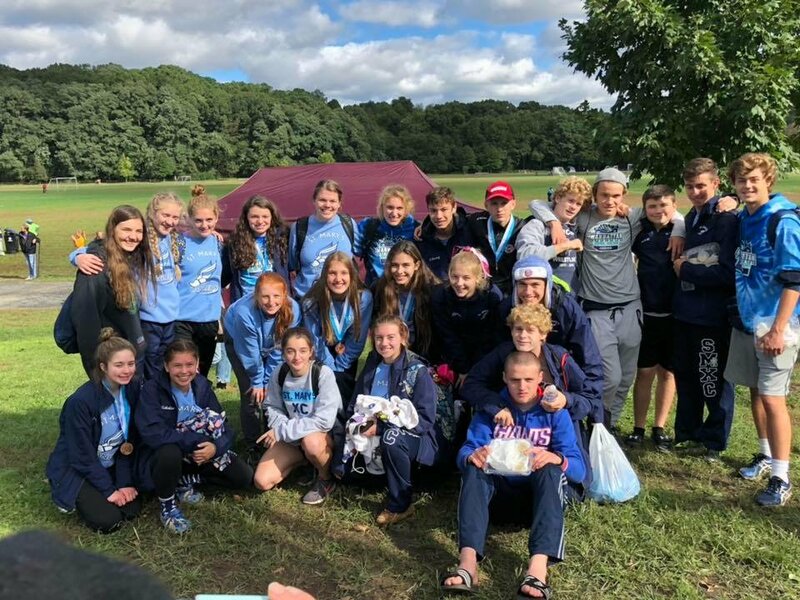 The Manhattan Invitational was quite the success for this year's St. Mary's Cross Country Team. All runners improved their times over last year and nine runners were awarded medals. Congratulations to an amazing group of runners on their performance at the Michael Blest Invitational in Grand Island. Twelve medals were awarded in all, and both the varsity men's and women's team finished in third place. 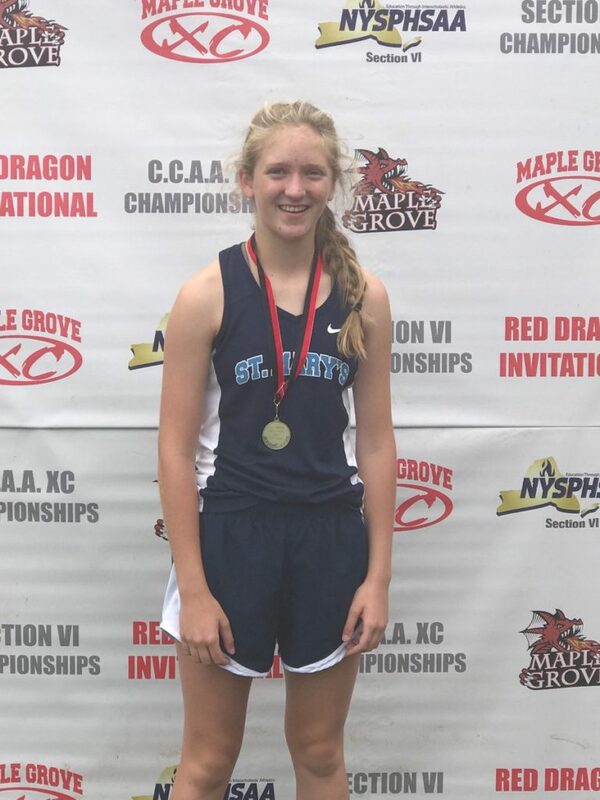 St. Mary's Cross Country made the trip to Bemus Point to run in the Red Dragon Invitational. Many runners beat last year's times and some even achieved personal records. 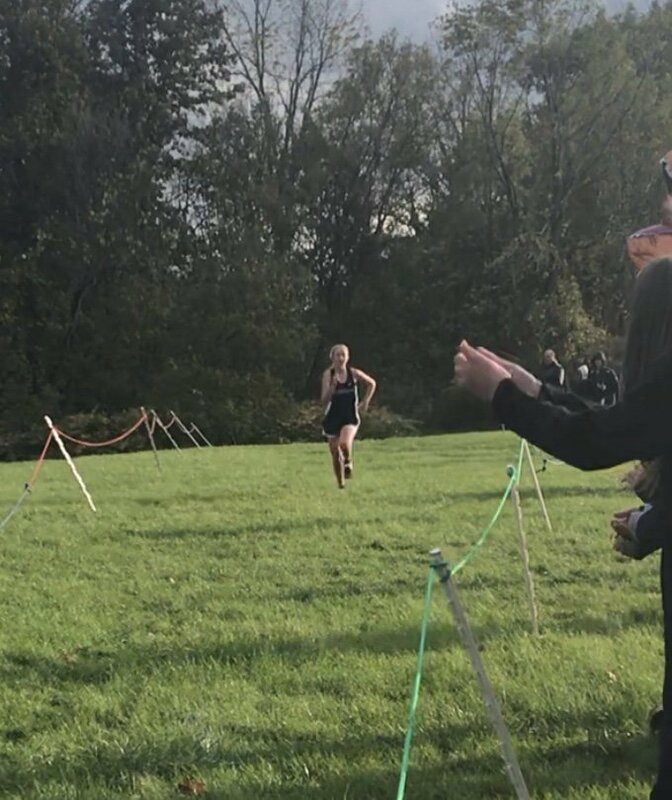 Freshman Margaret Nawojski took home her second gold medal for the JV.